Legendary American comedian Jack Benny (pictured) was the special guest at the Sporting Globe-3DB-HSV7 Royal Children’s Hospital Good Friday Appeal in March 1964. Benny, visiting Australia for a series of stage shows in Sydney and Melbourne plus a TV special, appeared on the annual telethon during the afternoon as well as being the star attraction for The Celebrity Hour, the highlight of the evening component of the all-day appeal. Also featuring in The Celebrity Hour were Johnny O’Keefe, French-Canadian singer Vicki Benet and personalities from HSV7 programs Sunnyside Up, The Delo And Daly Show and Variety 7. 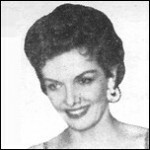 O’Keefe and performer Lorrae Desmond were co-stars with Benny on his stage shows as well as the follow-up special, The Jack Benny Show In Australia, which was taped at ATN7, Sydney, and screened in April that year. Ten years later, the 1974 Good Friday Appeal was preceded the night before by a half-hour special, After The Tears. The documentary took viewers behind the scenes at the hospital that tends to thousands of sick children each year, not just from Victoria but from around Australia and overseas. Special guests at the 1974 telethon were Johnny Farnham and Colleen Hewett, performing songs from the stage musical Pippin, and British actor George Layton from the series Doctor In Charge. Newsreaders Brian Naylor (pictured with a hospital patient) and David Johnston hosted the telethon, with football commentator and Penthouse Club co-host Michael Williamson and John D’Arcy in the phone room and Mal Walden presenting progress updates for the regional centres. 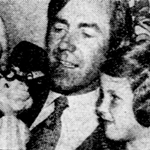 Reporter Dan Webb conducted interviews with staff and patients at the hospital, and appearing on the telethon were Seven Network personalities including Mary Hardy and Shirlene Clancy from Penthouse Club, Tony Barber and Barbara Rogers from Temptation, Blind Date host Bobby Hanna plus Paul Hogan, Happy Hammond, Zig and Zag and cast members from Homicide and Class Of ’74. The 1974 telethon raised around $900,000 — a considerable boost from the previous year’s total of $778,019. This year’s appeal, hosted for the first time at the Melbourne Convention & Exhibition Centre, will hope to break last year’s record total of $16,405,534.65. This year marks the return of the prime time charity concert — featuring performances by Taylor Henderson, Samantha Jade, Mark Seymour, Nathaniel, Kate Ceberano, Daryl Braithwaite, The Collective, Joe Camilleri and Boom Crash Opera. 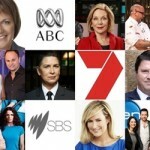 Seven personalities to appear during the day include Peter Mitchell, Jennifer Keyte and Tim Watson from Seven News, David Koch, Sam Armytage and Mark Beretta from Sunrise, The X Factor’s Luke Jacobz, The Morning Show‘s Larry Emdur and Deal Or No Deal host Andrew O’Keefe plus cast members from Home And Away, A Place To Call Home, Winners And Losers and Better Homes And Gardens. Since the appeal’s launch in 1931 more than $260 million has been raised for the Royal Children’s Hospital. The Royal Children’s Hospital Good Friday Appeal is supported by the Herald and Weekly Times, HSV Seven and radio stations 3AW and Magic 1278. Royal Children’s Good Friday Appeal. Friday 18 April, from 9am. 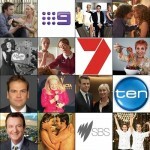 Seven (Melbourne) and Prime7 (Regional Victoria). 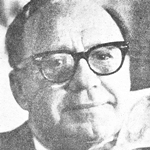 Source: TV Times, 25 March 1964. TV Times, 6 April 1974. The Age, 11 April 1974.